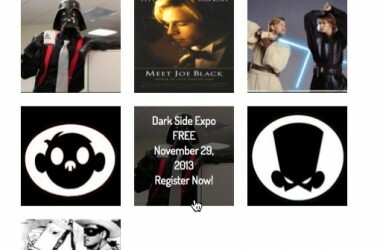 Our WordPress events calendar displays events and categories of events in a nice graphical calendar. The events calendar allow you to display your events in a way that customers are familiar with, gives you another page of your website or another way for customers to find your events, and allows you to invite attendees to add the events to their own calendars as a friendly reminder. 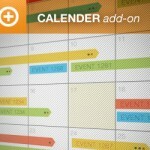 As soon as an event is published, the event will automatically show on your calendar. 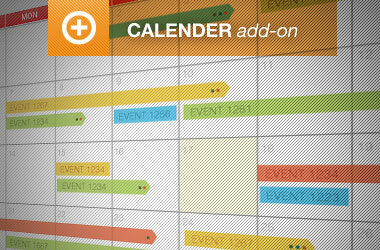 Easily add the category shortcode name to your CSS and easily display events in custom colors. 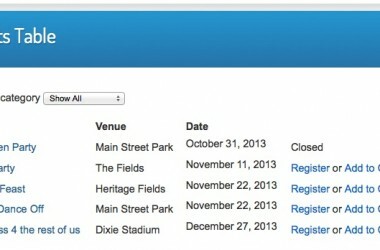 You can even setup multiple calendars on your website (on different pages) for categories of events. You can view a demo of the Events Calendar. The Featured Images Grid template displays events in a pure CSS grid like structure, using the featured image. Hovering over the image will display further information. If the event does not have a featured image available, it will use a default one. Optionally, a small code change in the template can allow you to use the Organization Logo from the General settings as the fallback image.